Bush Administration Is Illegally Forcing/Coercing Privately Owned Companies To Illegally Spy On You! Title: Bush Administration Is Illegally Forcing/Coercing Privately Owned Companies To Illegally Spy On You! Subtitle: Matters turned serious when members of InfraGard are told what their role would be WHEN Martial Law is imposed and when they are assured that if they have to kill someone, the Federal Government would hold them blameless! I well remember when President Bush appeared on national TV shortly after the attacks of 9/11. He urged both Hollywood and private companies in America to use their efforts and resources to support the government's 'War On Terror". When I listened to this remark, I sensed that the Federal Government was planning to force Hollywood and private companies to assist them in their efforts to overthrow our Constitutional government and dissolve all current facets of our government so this "Old World Order" could be established. 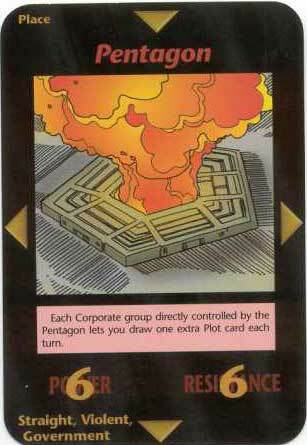 Not only did my research in books such as Bill Cooper's "Behold A Pale Horse" speak of such plans, but the 1995 Illuminati Card Game contained cards entitled, "Martial Law", and "Dictatorship" and "Emergency Powers" and "Law and Order". 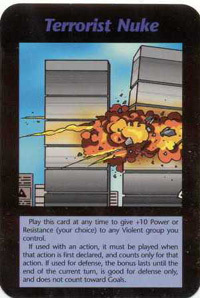 On the day of 9/11/2001, the major realization we had at Cutting Edge is that agents of the Illuminati had finally carried out the long-planned attack on the Twin Towers and the Pentagon for the express purpose of overthrowing our major government institutions so that they might impose their planned dictatorship. As one false government "terror alert" followed another in the succeeding years (Read NEWS1888 for full details), I knew they were bogus for a variety of reasons, the most important of which was that the "War on Terror" existed only because the Illuminati was using it as a tool by which to bring our entire country into the most severe dictatorship the world has ever seen -- in full accord with the "Protocols of the Learned Elders of Zion". Have you heard the Protocols describe this dictatorship? 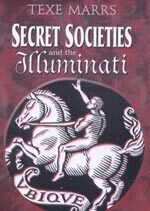 If you are one of those individuals who mistakenly believes the "Protocols" have been discredited, please take a moment to read our Archived Headline New article entitled, "Properly Understanding One of the Most Important Illuminati Planning Documents -- The Protocols of the Learned Elders of Zion", NEWS2128. Before we go any further, let us examine one more quote to see how deceptive the Illuminati plans to be as they unfold their plan upon their undiscerning people. Now, you understand how politicians can be such a lying bunch, for the Protocols expect them to lie to you! 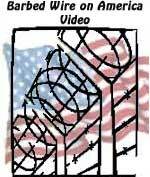 At this point, let us examine this horrific spying program which the Bush Administration has set up, to encourage and coerce, certain private businesses to spy on you and ultimately, to participate in the demise of our precious Constitutional government. Oh, yes, and you will discover that, when forces employed by one of these 22,000 private businesses kills a citizen during implementation and enforcement of the planned Martial Law, the Federal Government will fulfill its promise not to prosecute! "What is InfraGard? InfraGard is an information sharing and analysis effort serving the interests and combining the knowledge base of a wide range of members. At its most basic level, InfraGard is a cooperative undertaking between the U.S. Government (led by the FBI and the NIPC) and an association of businesses, academic institutions, state and local law enforcement agencies, and other participants dedicated to increasing the security of United States critical infrastructures. "All InfraGard participants are committed to the proposition that a robust exchange of information about threats to and actual attacks on these critical infrastructures is an important element for successful infrastructure protection efforts." ("Philadelphia InfraGard"). The major problem I have with this entire program is that it is entirely founded upon a false basis! America is not facing an Islamic terrorist threat; rather, we are facing an open effort by officials and agents of the worldwide Illuminati to stage terrorist attacks so that they can gradually impose severe dictatorial laws upon the peoples of the entire West. These deliberate attacks will enable them to overthrow governments which are still elected by the ballot box. 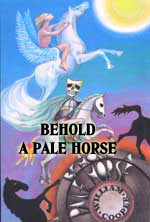 When Antichrist arises, he will come to a world devoid of free and constitutional governments. America, Great Britain, countries in Europe, in Australia, and New Zealand, are all going through the same metamorphosis, i.e., current government leaders are passing laws which, when enacted, will overthrow the current government, replacing it with a most repressive dictatorship. Therefore, the major problem I have with InfraGard is that it is cooperating with the same Federal Government which carried out the attacks of 9/11 in the first place, and which plans further attacks when the time has arrived to go into the final stages of this plan. In other words, InfraGard is established on a false basis! Their officials are cooperating with the very hungry fox which is planning to eat every chicken in the henhouse. Now, let us go to a thorough article describing InfraGard and its cooperation with the Bush Administration. "Today, more than 23,000 representatives of private industry are working quietly with the FBI and the Department of Homeland Security. The members of this rapidly growing group, called InfraGard, receive secret warnings of terrorist threats before the public does—and, at least on one occasion, before elected officials. In return, they provide information to the government ... In return, they provide information to the government." Bear in mind that the information these business leaders receive from the government concerns possible terrorist attacks which do not exist! The only terrorist threat comes from worldwide government agents carrying out selected attacks designed to bring America under the heel of a dictatorship! But, there is more of a threat from InfraGard! This last statistic means that the FBI has drawn in the vast majority of America's most powerful companies, encouraging them to send them information about individual citizens, information which any dictatorial government would love to possess. Can you see how close this country is to the implementation to a severe dictatorship? When an employer can turn in "disgruntled employees" to the Federal Government, the coming dictatorship has the program in place to keep track of tens of millions of American citizens. And, of course, police state programs like this in past dictatorships have turned into a coercive force, as the employer uses the threat of being turned into the government's internal police network as a force by which he can keep reluctant employees tightly welded to the official company position. Listen to this next segment of our featured article as it discusses this reality. Why is it that the infamous ACLU has to be the only organization which is warning the American people of the approaching dictatorship? Where are all the Right-Wing watchdog groups who should be screaming bloody murder? These groups are silenced by the fact that "one of their own" is the force bringing this dictatorship to reality. Were Janet Reno and Bill Clinton attempting these changes and setting up programs like InfraGard, Right-Wing groups would be most vocal in warning the people of the inherent dangers. But, since these programs and these changes are being systematically set in place by a "Conservative" President, Right-Wing groups are silent. I well remember when President Nixon "opened China" to the outside world of politics and of business. An editorial at the time said that only a President considered "Conservative" could have taken this action, especially since it meant abandoning Taiwan as the only recognized Chinese government. Only a "Conservative" President could take this action and keep the American Conservatives in line. Similarly, only a President seen as "Conservative" could have convinced the American people to allow Congress to pass this dictatorial legislation and to create police-state alliances like InfraGard. When President Bush came to power, I warned people that we had much more to fear from a Skull & Bones "Conservative" President than we ever would from a "Clinton-type" Liberal. Sadly, my warning has turned out to be too true! Now, let us get to the subject of Martial Law. In order to overthrow the Constitutional government and establish a repressive dictatorship, Martial Law must be established. THAT is the Plan. Now, carefully read this next segment as your hair will curl in horror. "One business executive, who showed me his InfraGard card, told me they have permission to 'shoot to kill' in the event of martial law ... InfraGard members, sometimes hundreds at a time, have been used in 'national emergency preparation drills', Schneck acknowledges. 'In case something happens, everybody is ready', says Norm Arendt, the head of the Madison, Wisconsin, chapter of InfraGard, and the safety director for the consulting firm Short Elliott Hendrickson, Inc. 'There’s been lots of discussions about what happens under an emergency'. One business owner in the United States tells me that InfraGard members are being advised on how to prepare for a martial law situation—and what their role might be." Since the majority of these business owners are in the infrastructure business, their assigned role is within that type of business. "This business owner says he attended a small InfraGard meeting where agents of the FBI and Homeland Security discussed in astonishing detail what InfraGard members may be called upon to do. 'The meeting started off innocuously enough, with the speakers talking about corporate espionage', he says. 'From there, it just progressed. 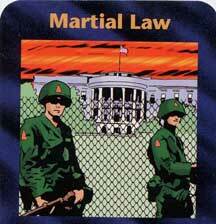 All of a sudden we were knee deep in what was expected of us when martial law is declared. We were expected to share all our resources, but in return we’d be given specific benefits'. These included, he says, the ability to travel in restricted areas and to get people out ... But that’s not all. “ Then they said when—not if—martial law is declared, it was our responsibility to protect our portion of the infrastructure, and if we had to use deadly force to protect it, we couldn’t be prosecuted', he says." Wow! I thought that the National Guard was assigned the task of protecting infrastructure targets against potential attacks! But, wait, National Guard units are stretched to the limit fighting those never-ending wars in Iraq and Afghanistan. Therefore, it does sound like owners of the infrastructure companies are being encouraged to set up private fighting organizations with the promise that, if their fighting units actually kill some citizen, they would be protected from either prosecution or lawsuits! That is the very definition of dictatorship. America has been mightily propelled to the edge of the dictatorial Abyss. The next planned terrorist attack will shove this country over the Abyss, never to regain our Constitutional form of government.